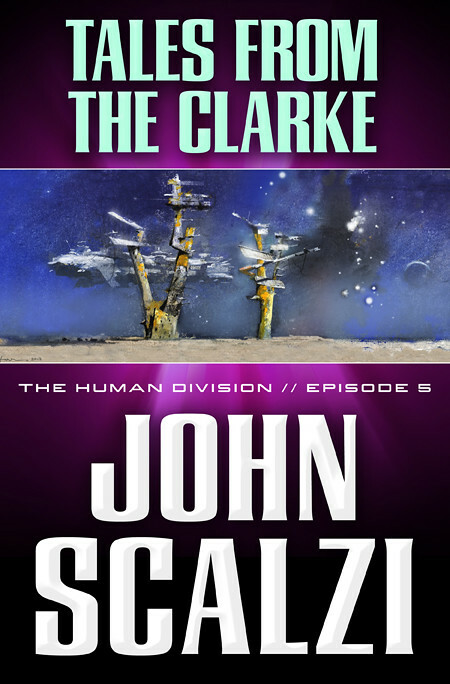 The Human Division, Episode Five: Tales From The Clarke is Now Live! Captain Sophia Coloma of the Clarke has a simple task: Ferry around representatives from Earth in an aging spaceship that the Colonial Union hopes to sell to them. But nothing is as simple as it seems, and Coloma discovers the ship she’s showing off holds surprises of its own…and it’s not the only one with secrets. Reviews are always appreciated, so if you do like the episode (or even if you don’t),hit your favorite social media or online bookstore to leave your thoughts and stars. Above all else, thank you for riding along on the journey thus far. Something Really Old IV: Flaming Babies! Another take from the AOL years (1996 – 1998). My friends Lisa and Michael gave birth to their first child last week (actually, Lisa did the birth-giving while Michael participated in a less active advisory role), and although I’m sure they didn’t plan it this way, their blessed event was well-timed with another baby-related milestone: last week, the disposable diaper celebrated its 35th anniversary. The disposable diaper was created by Vic Mills, a chemical engineer at Procter & Gamble. In 1961, Mills was apparently sufficiently turned off at the prospect of changing his granddaughter’s poopy cloth diapers that he created the disposable diaper as an alternative. This created what would eventually become the Pampers brand of diaper and proved, once again, that the greatest engine of invention in Western Civiliztion is man’s single-mided determination to avoid real work. Mills went on from Pampers to work with Jif peanut butter and Pringles potato chips. Presumably he washed his hands first. Procter & Gamble now maintains that 94% of today’s parents use disposable diapers exclusively. This is good news for Procter & Gamble and Kimberly – Clark (which makes Pampers competitor Huggies), whose brands between them account for two thirds of all disposable diaper sales in the U.S. But I found that figure mildly disturbing, because of an event that occured with a disposable diaper during my own diaper wearing days. What happened was, I was wearing a diaper and I decided that it wasn’t the sort of lifestyle choice I wanted at the time. Showing a sort of manual dexterity that would soon abandon me to a childhood of nearly lethal clumsiness, I managed to disengage the diaper from my body and, after smearing some of the contents on a nearby wall (an action which, unbeknownst to me at the time, qualified me for an NEA grant), I placed the diaper on a dresser near my crib. Sometime thereafter, the diaper exploded in flame. Fortunately, mom happened to be nearby and the situation was handled before major property damage occured. I also survived. To this day, we don’t know exactly what caused the diaper to spontaneously combust (the best guesses are that sunlight hitting the contents heated them to ignition point, or that mom had been feeding me the Gerber Mashed Habanero Chile Dinner). Since then, however, I’ve wondered if Spontaneous Disposable Diaper Combustion happens with any frequency. Since my friends are now reproducing, and it’s likely that I and my wife will do so in the next few years, I wanted to get this settled now. So I called Procter and Gamble’s Pampers hotline and told them my flaming diaper story. “That’s highly unusual,” the Pampers hotline lady said, in the careful tone of voice that they’re probably trained to use whenever they’re dealing with a nut case. “Did your mother contact the diaper manufacturer at the time?” she asked. I admitted to the Pampers hotline lady that I don’t think my mother thought about it at the time. “Well,” the Pampers lady said, “We’ve been making diapers for 35 years and this is the first time I’ve heard of this. It’s bizzare.” To double-check, we went through the ingredients that make a modern disposable diaper: polypropylene fabric, wood pulp, a special polymer gel. The back sheet is polyethelyne, and the leg elastics, synthetic rubber. “None of which have been known to spontaneously combust,” I prompted. What kind of heat source? “Like a open pit fire,” the Huggies lady suggested. Parents, if you were thinking of gently toasting your disposable diapers on a Homecoming bonfire to give them that comfy, hot-from-the-dryer feeling, don’t. And if you’ve already begun, stop now. Nothing good can come from it. We have it on authority from the Huggies lady herself. In the main, it appears that our national supply of disposable diapers is as safe from spontaneous combustion as it has ever been in its 35 year history. The only threat from a disposable diaper is the same threat that helped create the disposable diaper in the first place: what your own little angel puts in it.